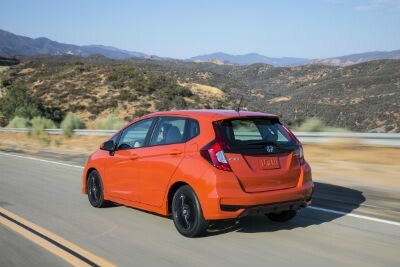 Home » Honda Fit » What are the 2019 Honda Fit Trims and Pricing? While we already know that the 2019 Honda Fit is out, what should you expect to pay, and for what trims? Let’s take a look at the 10 various options for this exciting hatchback, and just how much they cost. Check out the table below to find out the starting MSRP for each of the 2019 Fit trims. Each trim has additional options that shoppers can opt for, such as available CVT on the LX, Sport, and EX models. The available CVT plus features like Honda Sensing® and navigation will have an additional cost. Look at the table below for the prices and trims of this energetic hatchback! Where can I find the 2019 Honda Fit near Dayton? The 2019 Honda Fit boasts of things like the available Honda Sensing® suit, which is a compilation of driver-assist technologies such as the Forward Collision Warning, Adaptive Cruise Control, and Lane Keeping Assist, among others. These features can all potentially help reduce the severity of a collision, in some situations. If you have determined that this hatchback is the right fit for you, then swing on over to Dayton, OH, where you can find the 2019 Honda Fit here at Matt Castrucci Honda. You can take this hatchback for a test drive, and see what trim is best for you! Of course, if you aren’t interested in the Fit, you can check out any of the other Honda models we have here, as well. What can we expect from the 2018 Honda Fit? This entry was posted on Friday, June 29th, 2018 at 3:40 pm	and is filed under Honda Fit, New Vehicles. You can follow any responses to this entry through the RSS 2.0 feed. Both comments and pings are currently closed.